A unique and luxurious place to stay. 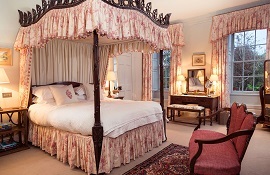 Churchtown House has been restored to its former glory mixing traditional elegance with country house charm. 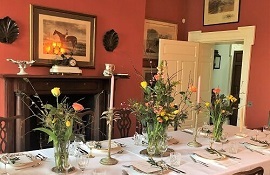 The house was built in 1740 by Sir Roland Blennerhassett and has been in the Magill family since 1860. The house sits alongside Beaufort Golf Course & is an ideal base to play golf as well as indulge in the adventure side of life. 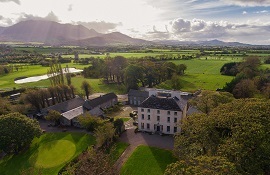 Providing the option of luxury self-catered or catered accommodation in Beaufort, Killarney, Churchtown House is a large & spacious 18th Century historic Country House, situated at the foot of the world famous McGillicuddy Reeks Mountain Range. Accommodation is provided in the main house with a total of 6 guest bedrooms, that can sleep 12-14 people comfortably. Churchtown House is ideally located in the charming village of Beaufort just off the main Ring of Kerry route with easy access to the Iveragh, Dingle & Beara Peninsulas. The house sits alongside Beaufort Golf Course & is an ideal base to play golf as well as indulge in the adventure side of life, with hiking, cycling, kayaking, fishing & a host of other adventure opportunities on its doorstep.